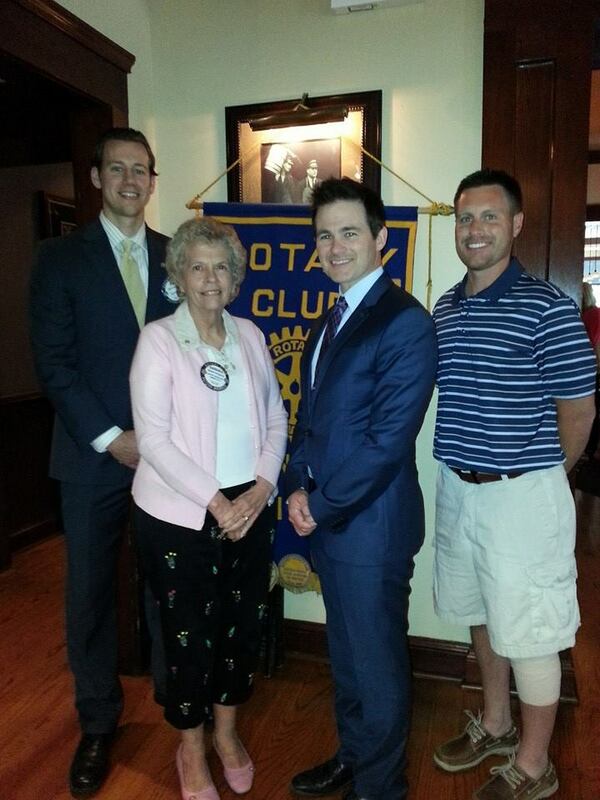 Welcome to the Dundee Township Rotary Club! 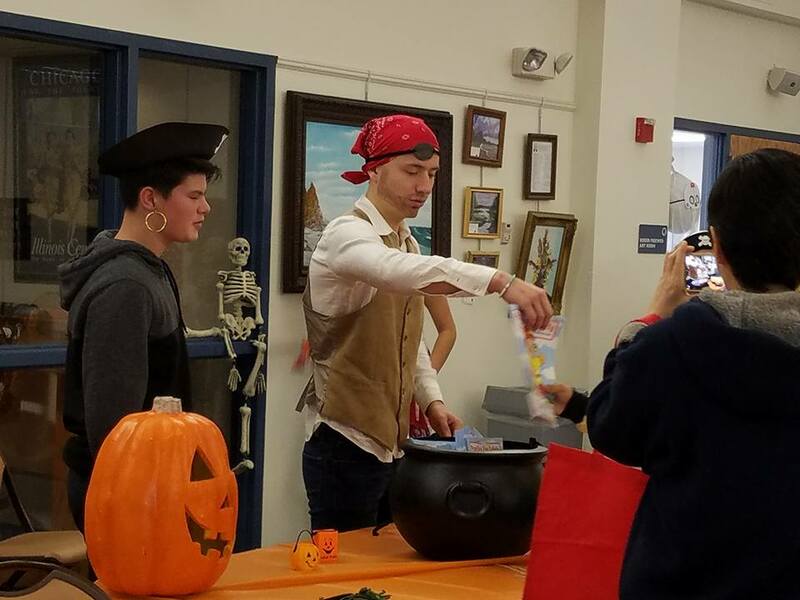 Our annual Halloween Party for the Disabled was sweet fun for all! Entertainment provided by Mason Rivers & 7th Heaven. Congratulations to our winners and thank you to everyone who participated in the Raffle and helped us raise the funds for our community service projects in Dundee Township. A HUGE Thank you to Mary Stanley for being our fearless and tireless leader in this crucial fundraising event! 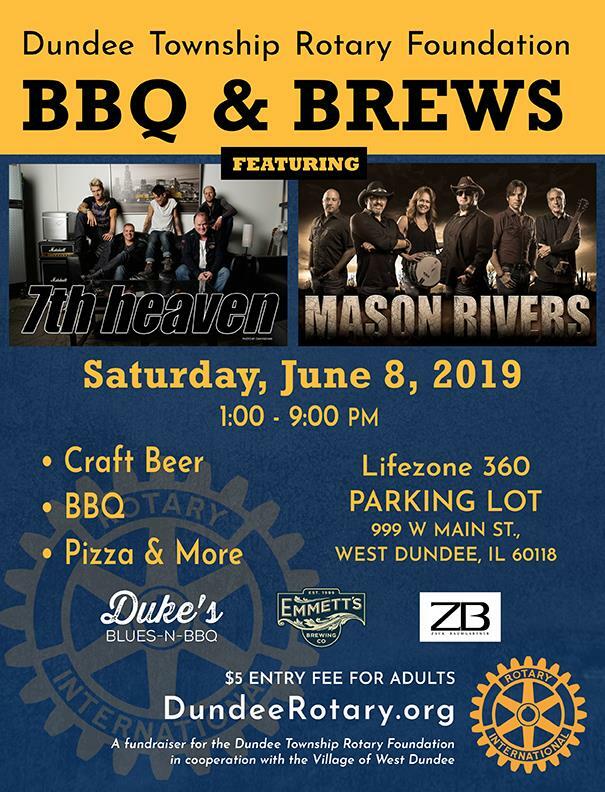 Dundee Rotary Foundation held its First Annual BBQ and Brews Fundraiser on Saturday, June 2, 2018! 30 students from Perry Elementary School will be warmer this winter! 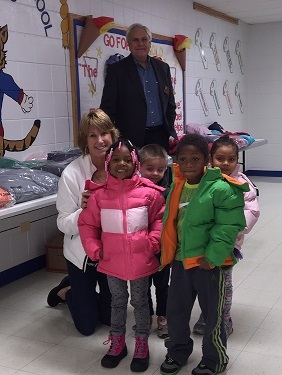 Brand new coats were passed out to students the morning of November 29th by the Dundee Township Rotary Club Members. The smiles are well worth it! 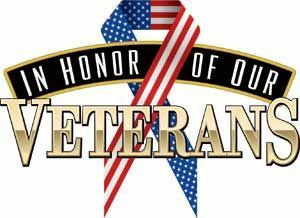 The Dundee Township Rotary Club will be honoring our local veterans with a special lunch at the West Dundee VFW. Levi, the K9 Comfort Dog from Immanuel Lutheran Church in East Dundee will be attending with his veteran handler. Thanks to all who purchased tickets! The proceeds go to all of the community programs we offer including Veterans lunch, Operation Warm Coat, holiday party for the Boys & Girls Club and more! 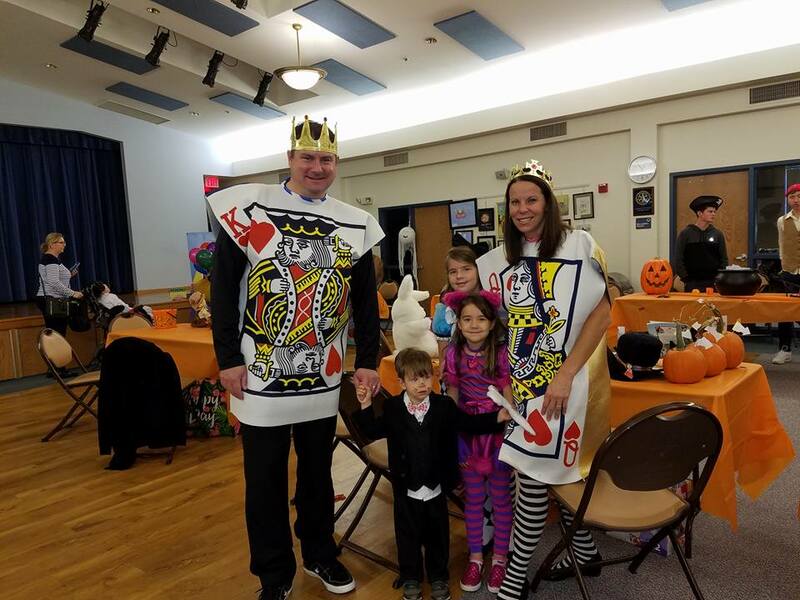 Halloween Party for Special Needs Children a SPOOKY Success! 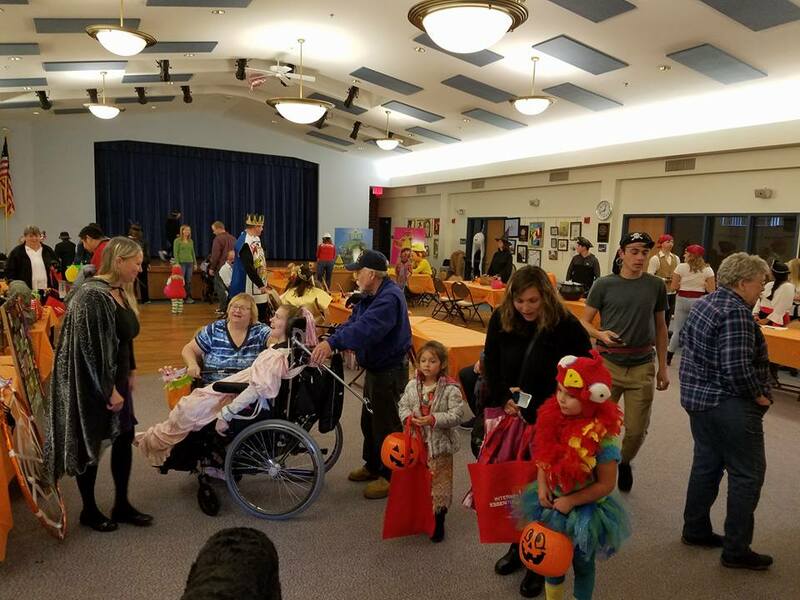 Special needs children and their families got to enjoy trick-or-treating, games, comfort dogs and more at the Dundee Township Rotary Club's annual event. A wonderful, SPOOKY time was had by all! 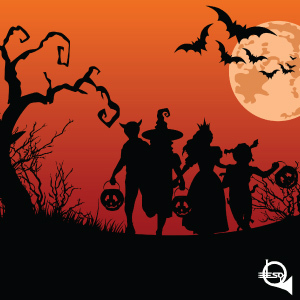 Join us for the 18th Annual Halloween Party for Children with Special Needs! From 12:30 pm - 2:30 pm on Sunday October 29, 2017 Rotary club members will have decorated tables where special needs children (and their siblings) can trick-ot-treat. All in one room and handicapped accessible. Snacks will also be served! All takes place at the Dundee Township Senior Center at the NW corner of Rt. 68 and Rt. 25. 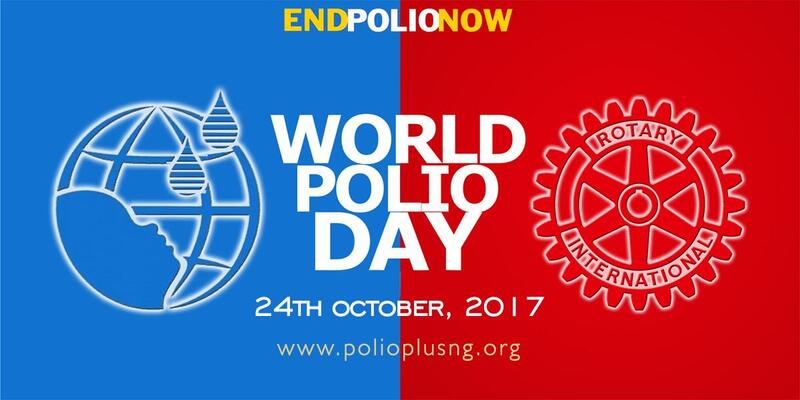 Rotary Club of Dundee Township members are among millions reaching out on World Polio Day, Oct. 24th, to raise awareness, funds and support to end polio. A vaccine prevents this crippling and paralyzing disease that still threatens children in parts of the world today. Since Rotary and its partners launched the Global Polio Eradication Initiative nearly 30 years ago, the incidence of polio has plummeted by more than 99.9 percent, from about 350,000 cases a year to just 37 cases in 2016. Toward this end, Rotary members worldwide have contributed more than $1.7 billion to ending polio since 1985, including major sums from the Rotary Club of Dundee Township. The global Initiative includes the World Health Organization, U.S. Centers for Disease Control, UNICEF, the Bill & Melinda Gates Foundation and governments around the world. To sustain this progress and protect all children from polio, Rotary has committed to raising $50 million per year over the next three years. The Bill & Melinda Gates Foundation will match Rotary’s commitment 2:1. Without full funding and political commitment, this paralyzing disease could return to previously polio-free countries, putting children everywhere at risk. 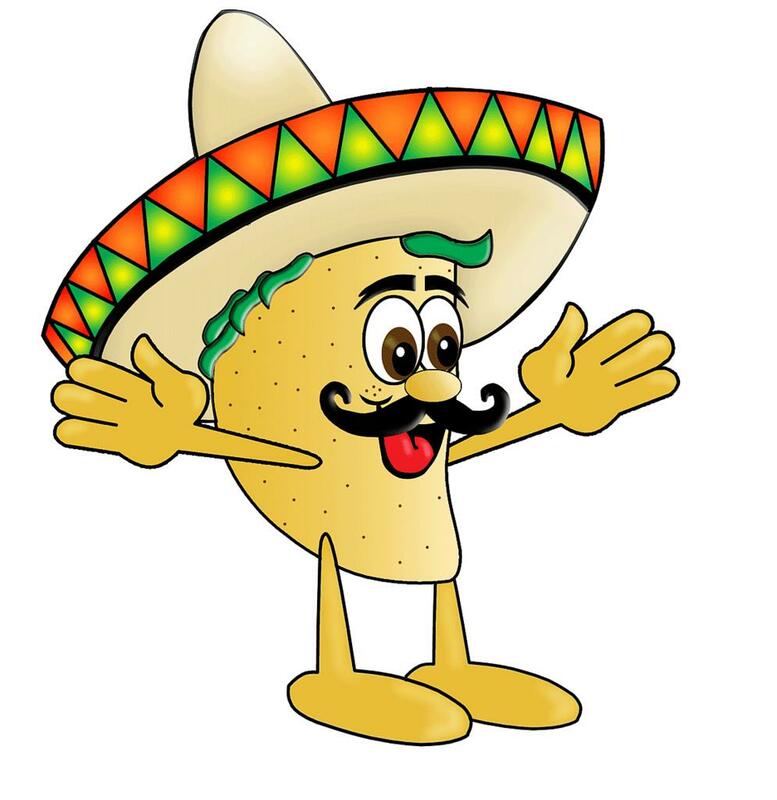 Thanks For Giving Back Event - Complete with Tacos & Beer! 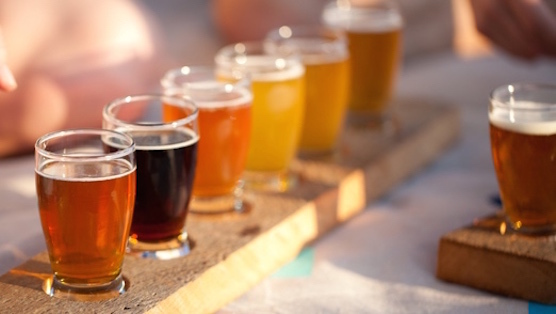 Join us for a special event where we celebrate our Thanks for Giving Back raffle winners, dine on a delicious taco bar and sample some of Emmett's best brews! To register and pay - click on the link to the left! 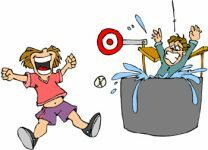 Join us as we dunk President Andrew Knox and earn some $$ for our Club! Bring your favorite beverage to share and a lawn chair! We will be at the Thomas House in Sleepy Hollow - contact Coleen Thomas for details! On June 22, 2017 Andrew Knox was installed as the new Dundee Township Rotary Club President! The club is grateful for the service of Glenn Morgenroth for the last year. President Knox's theme for the year will be TEAMWORK and he is looking forward to a year filled with fun and service to others. 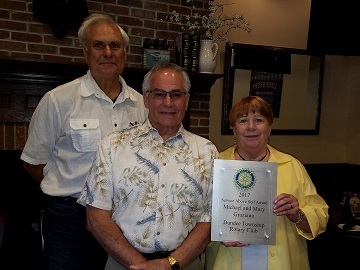 Michael and Mary Graziano received the Dundee Township Rotary Club's 2017 Service Above Self award in May for all of the wonderful work they do for the FISH Food Pantry and other areas of our community! 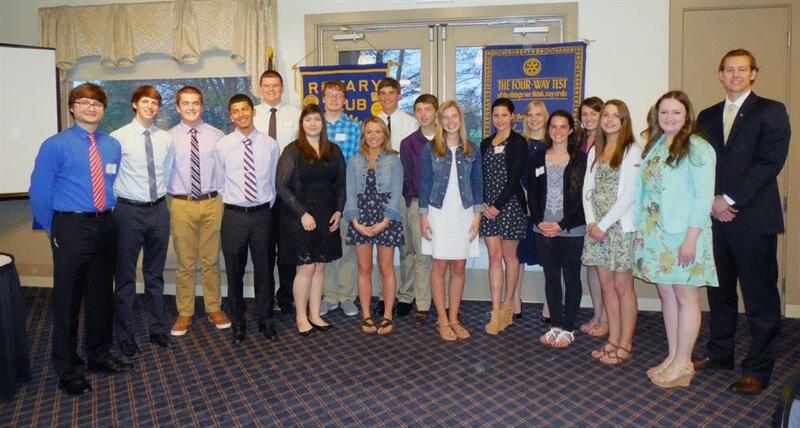 On Tuesday, May 2, 2017 the Dundee Township Rotary Club awarded $41,000 in college scholarships to 25 high school seniors. Tom Roeser from OTTO was the keynote speaker at the awards dinner held at Randall Oaks Golf Course. Students and their parents were the guests of honor and were able to meet and dine with Rotarians. 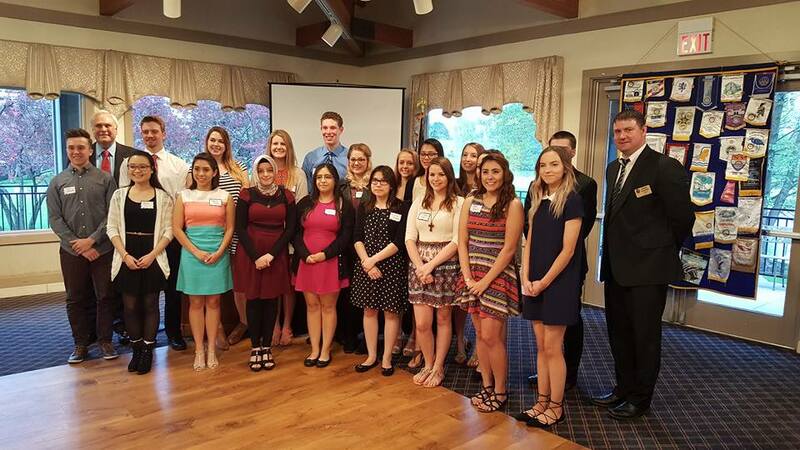 The Dundee Township Rotary Club has been awarding college scholarships since 1981. Over the past 46 years, 619 scholarships have been awarded totaling $833,650. The Club is proud to have helped so many Dundee Township students achieve their their college dreams. Brackets for Charity! 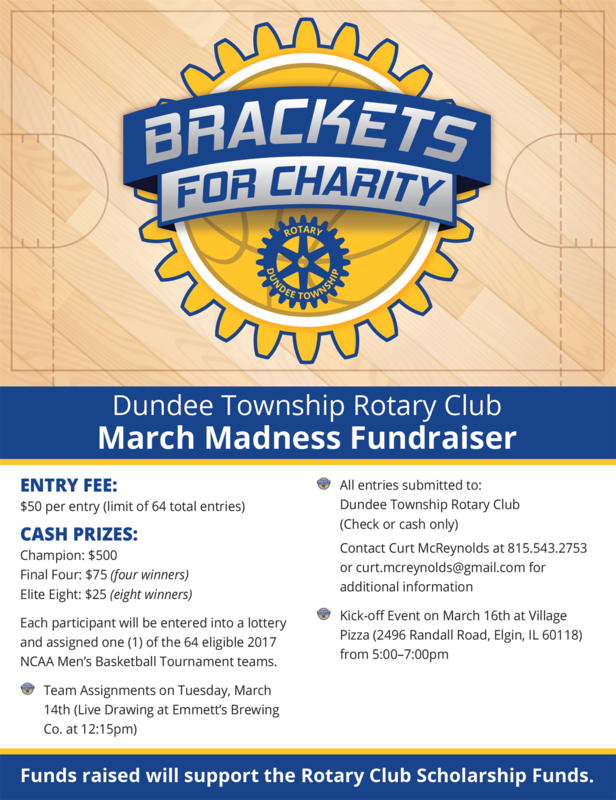 Support the Dundee Township Rotary! Our Rotary Club presents the Fox River Valley Library District with a $15,000 check to help support the purchase of a van for literacy outreach! 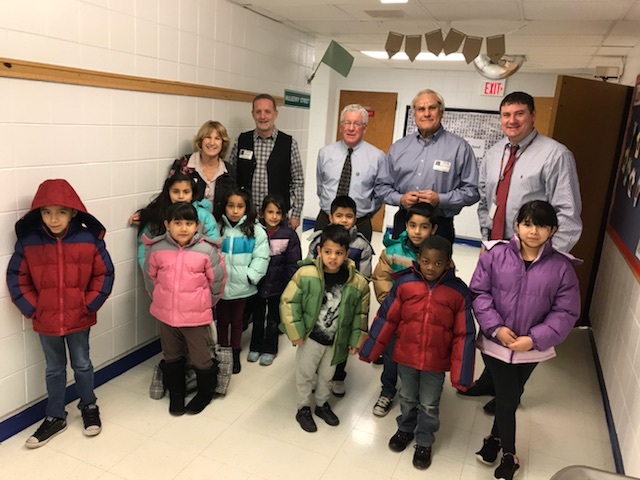 On November 14, 2016 the Dundee Township Rotary Club delivered 60 winter coats to children at Perry Elementary School. The children were thrilled at being able to pick out their own coat and for many of them it was the first piece of brand new clothing they have received. Go Rotary! Glenn Morgenroth was inducted as President at McGraw Wildlife Foundation in June, 2016. Pictured here with his Board - it will be a great year for Rotary! On Tuesday, September 27, 2016 the Dundee Township Club will draw the winning tickets for the Thanks Giving Back Raffle. We will also be inducting our new Rotarians and not to outdone, this is our Guest Day. This is the perfect opportunity to meet the Dundee Township Rotarians, learn about our service projects and receive information about Rotary. The Dundee Township Rotary Club Annual Scholarship Banquet was held on May 3, 2016 . Congratulations to the following scholarship winners! Join us for the 16th Annual Halloween Party for Special Needs Children! 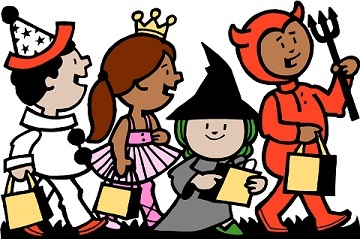 From Noon - 3pm on Sunday October 25th Rotary club members will have decorated tables where special needs children (and their siblings) can trick-ot-treat. All in one room and handicapped accessible. Our Little Library has been installed at Huffman Park in West Dundee. 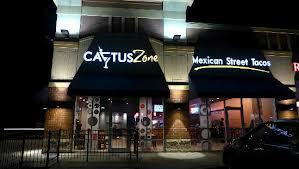 The official dedication will be on August 11th at 5pm. There will be no regular lunch meeting that day. The Little Library will offer residents FREE book borrowing. It is for adults and children! Our Rotary Club has always had a focus on literacy and education - to it is a perfect fit for us and our community! 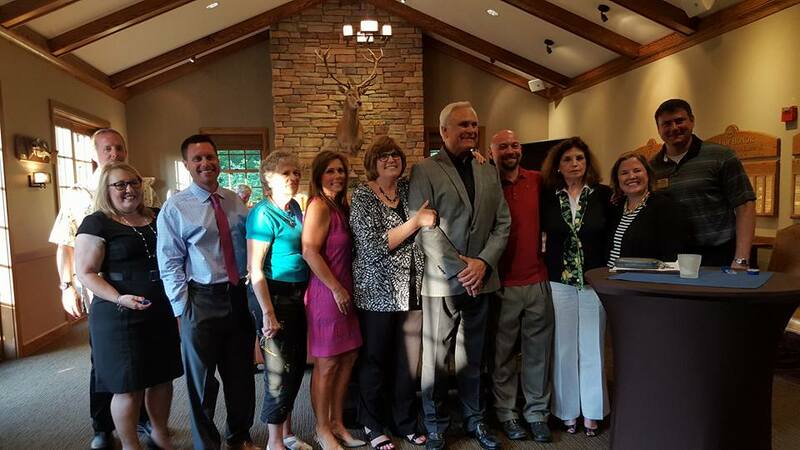 Craig Zieleniewski took over as the new Rotary President for Dundee Township on July 1, 2015. Thanks to Curt McReynolds for a wonderful year of leadership! 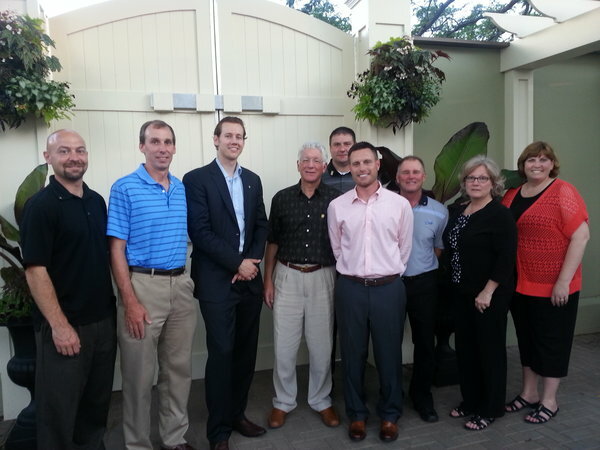 In the photo past and current Board members celebrate a great year and a great future on the Anvil Club veranda. 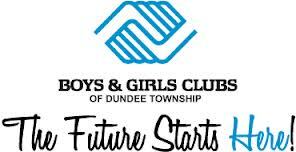 Celebrating Boys & Girls Club of Dundee's Youth of the Year! 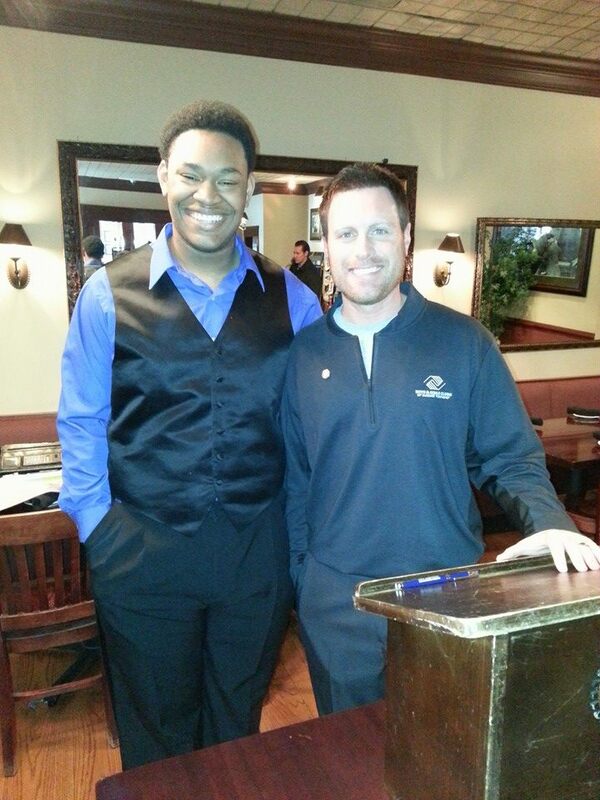 Korey Hughes poses with Curt McReynolds after giving his speech on being Youth of the Year for the Boys & Girls Club of Dundee Township. This inspiring young man will be competing for scholarships with other BGC youth around the state - and then nationally. Good luck Korey! Our "Thanks Giving Back" raffle was a complete success! 500 tickets were sold - so the Club made $10,000 to go towards our local giving including FISH food pantry, the Boys & Girls Club of Dundee Township, local veterans and more! Thanks Giving Back Raffle - Get Your Tickets Today! 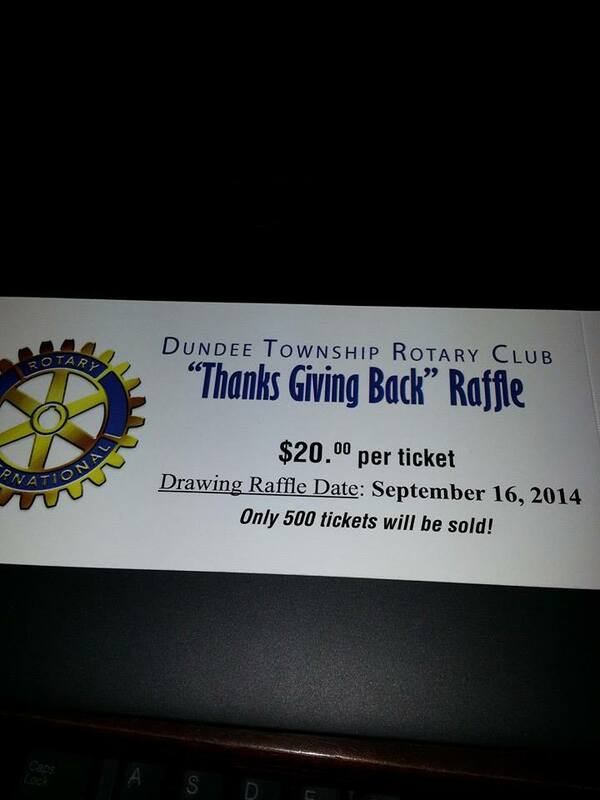 One of the major Fundraisers for the Dundee Township Rotary Club is our Thanks Giving Back raffle. Raffle tickets are only $20 each - with only 500 being sold. Prizes include a Hawks Game stadium box, $1,000 in gift cards, Golf for 4 at Randall Oaks, and more! See any Dundee Township Rotarian to get your tickets today! The Drawing is on September 16, 2014. Proceeds go to our many community projects including scholarships, Operation Warm Coats, support of FISH Food Pantry, and more. 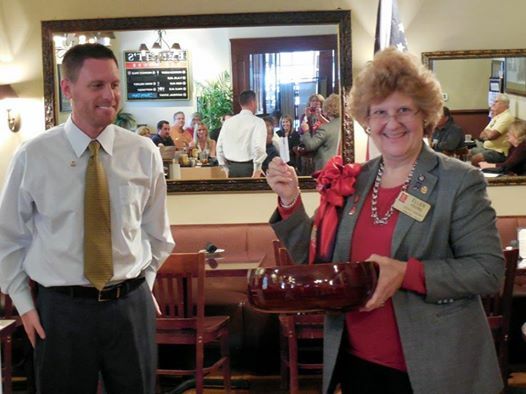 In his final presentation as president of the Dundee Township Rotary Club, Erik Gullickson, financial advisor at Raymond James Financial Services, Inc. in Crystal Lake, named members Carolyn Kasper and Betsy Little as his choice for “ Rotarian of the Year”. Kasper is an insurance specialist with AAA Chicago and Little is director of business development & sales with Cerulium Corporation. They are both residents of Dundee Township. 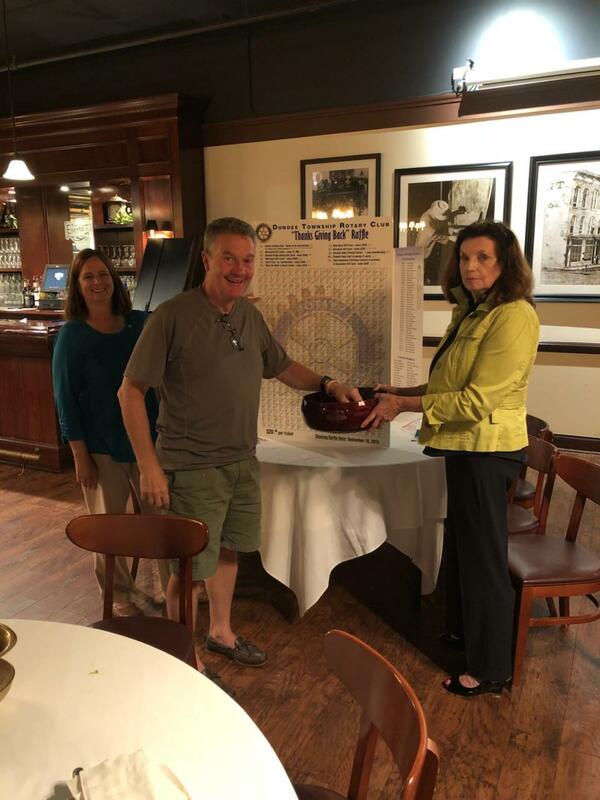 The Dundee Township Rotary Club begins its new year, July 2014 through June 2015, with new president Curt McReynolds, executive director, Boys and Girls Club of Dundee Township. There are currently 36 members of the club who represent a cross section of business and professional backgrounds. McReynolds’ theme for the year is 35/50 which ties in with his goal to reach 50 members by the end of his term. Next year also marks the 35th anniversary of the Dundee Township Rotary Club. The Dundee Township Rotary Club meets every Tuesday at 12 noon at Emmett’s in West Dundee. Those interested in finding out more about Rotary and the exciting community projects underway are invited to attend guest day on Tuesday, August 5, 2014. There are 1.2 million Rotarians in more than 31,000 clubs in more than 163 countries. The main objective of Rotary International is service, in the community, and throughout the world. As volunteers, Rotarians build goodwill and peace, provide humanitarian service, and encourage high ethical standards in all vocations. 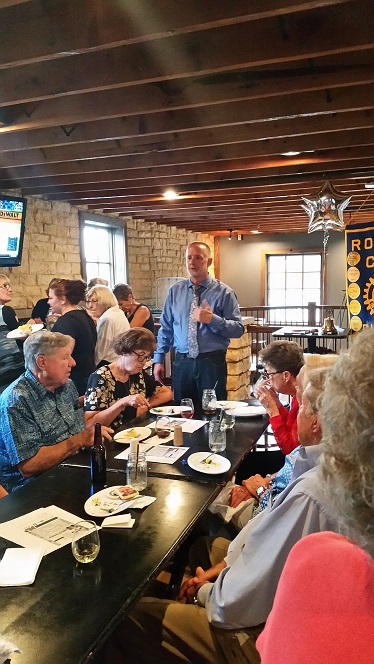 Curt McReynolds, executive director of the Boys and Girls Club of Dundee Township in Carpentersville, was elected as the 2014-15 president of the Dundee Township Rotary Club and will officially take office on July 1, 2014. He succeeds financial analyst Eric Gullickson. Ralph Helm, Sr., retired member of the Elgin Noon Rotary Club and past Rotary District 6440 assistant governor, and his wife Vera were honored guests. Outgoing Rotary District 6440 assistant governor Steve Swanson gave the oath of office to McReynolds and incoming Dundee Township Rotary club board members. Members of the Dundee Township Rotary Club board of directors include Matt VanHoeven, Mike Rabe, Jim Bolz, Ray Earhardt, Craig Zielienewski, Cheryl Wendt, and Pat Gibbs. As president, McReynolds said, "I have thought about our upcoming year and would like my theme to represent 35/50 - celebrating 35 years of our club and a goal to reach membership of 50 active members who have a passion for our community and the club. I challenge each club member to encourage community leaders to become a part of our great, award winning Rotary Club." The Dundee Township Rotary Club has a rich history in providing contributions for high school student scholarships, donations to the FISH Food Pantry and special events for Dundee Township senior citizens, needy families, and special needs children. 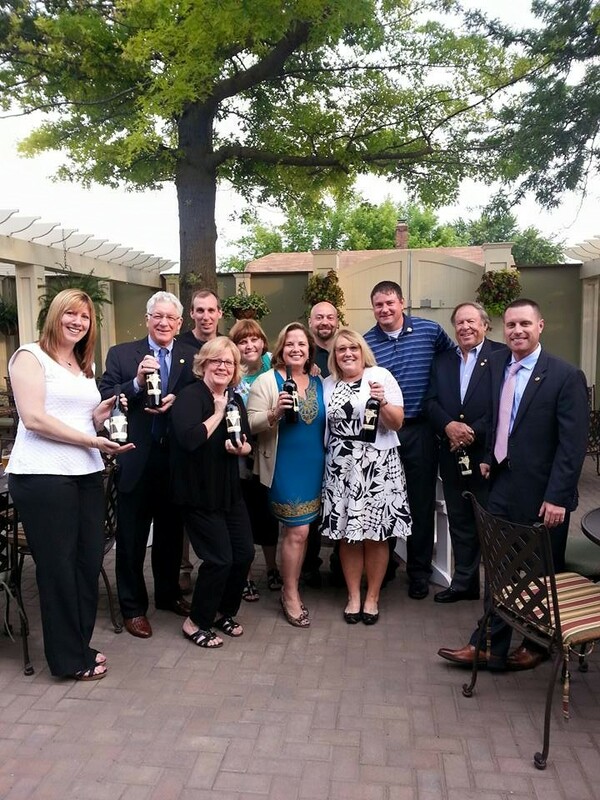 The Rotary Club of Dundee Township currently has 40 members who represent a cross-section of business and professional backgrounds. 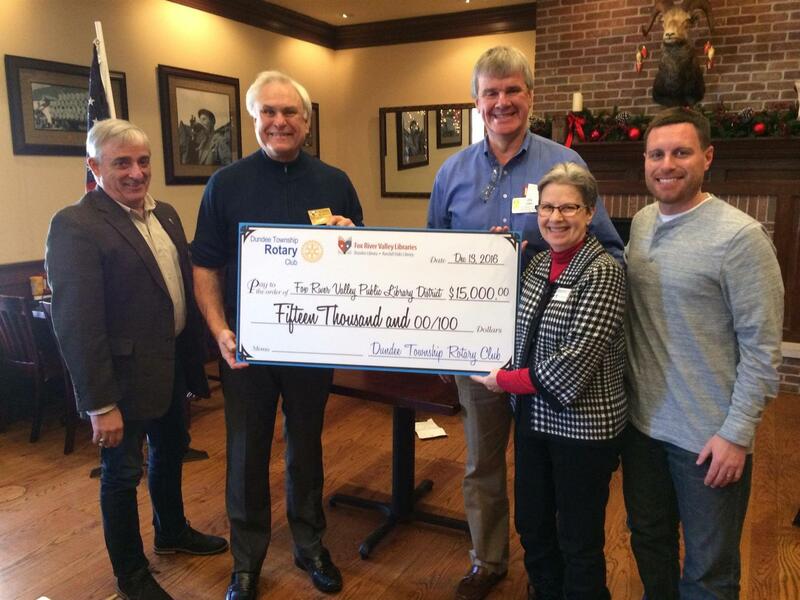 For more information about the Dundee Township Rotary Club, contact Al Treml at 847-489-6810. 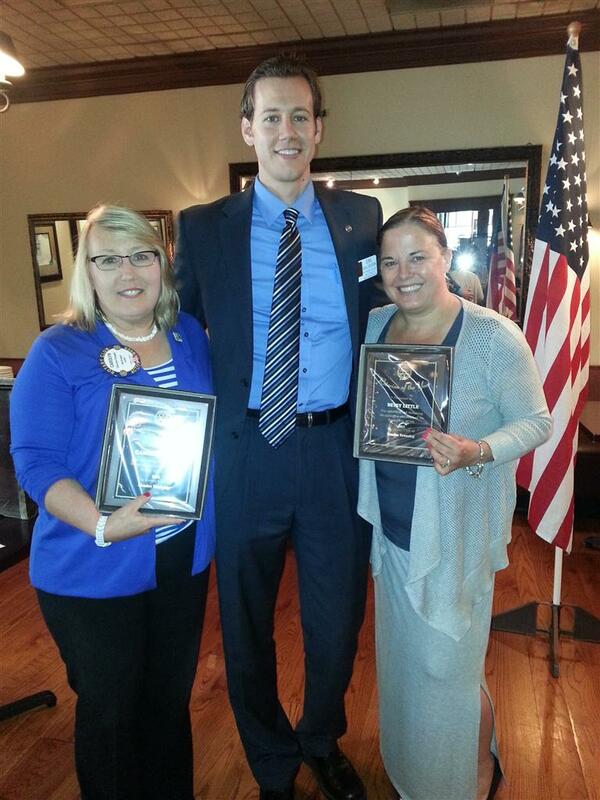 On Tuesday June 10, 2014 the Dundee Township Rotary Club presented the annual Service Above Self Award to Chris Nelson. Chris is the village president of West Dundee, a Boys & Girls Club of Dundee Township board member, and works for Comcast. Scholarship committee members are: chair Dr. Melisa Rothenberger, Martin Anderson, Barb Christie, Kristin Corriveau, Charlene Figuera, Curt McReynolds, Sandy Morganstein, Colleen Thomas and Al Treml. The Dundee Township Rotary Club was founded in 1980. The group meets every Tuesday at noon at Emmett’s in West Dundee. For more information about the club, contact Al Treml at 847-659-9266. 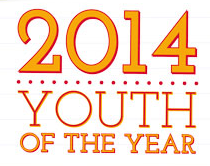 Join our Rotary Club as we celebrate the Youth of the Year at the Dundee Township Youth of the Year Reception. Our Rotary Club provides tablets to the finalists. See https://www.bgcdt.org/events/2014-youth-of-the-year-presented-by-goldmax/ for more details or to make reservations. The Dundee Township Rotary Club hosts a holiday party for the children at the Boys & Girls Club to help make their holidays bright! Held at Immanuel Lutheran Church in East Dundee, which donates the space for the event, children get to enjoy a fun pizza party, crafts, games and a visit from Santa himself! You Gotta Ring Them Bells! 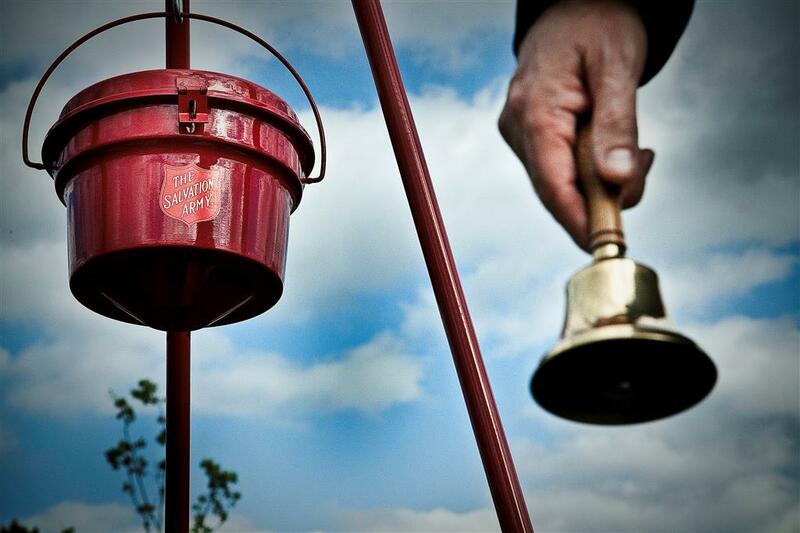 The Dundee Township Rotary Club teams up with the Dundee Crown Interact Club to ring bells for the Salvation Army outside on Jewel in West Dundee. Stop by Saturday, December 7th and bring your change! 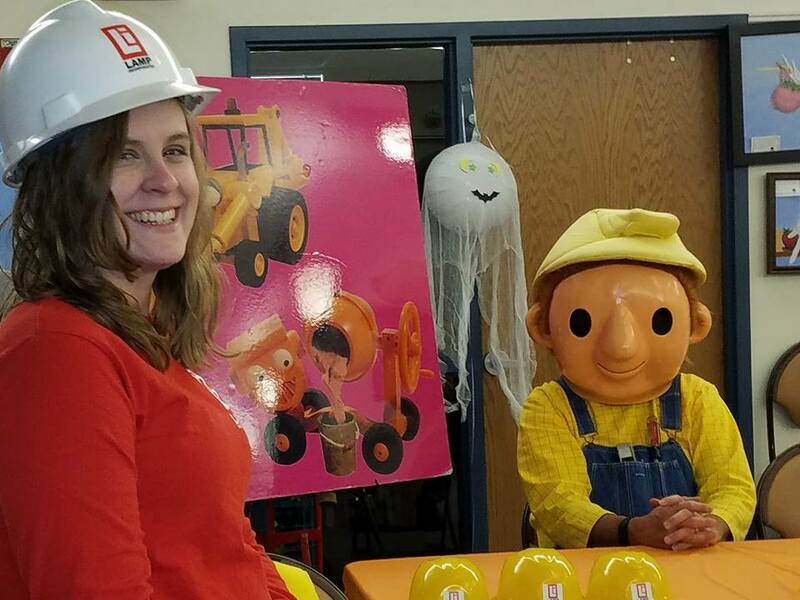 Every year the Dundee Township Rotary Club hosts a trick-or-treat party for hundreds of area special needs children. Each Rotarian decorates a table and supplies their own candy. Children get to vote on the best decorations. Hotdogs and other snacks are available along with fun games. Calling all Rotarians! Come to Jelke Creek and we will plant some trees to create a picnic area for our community to enjoy! 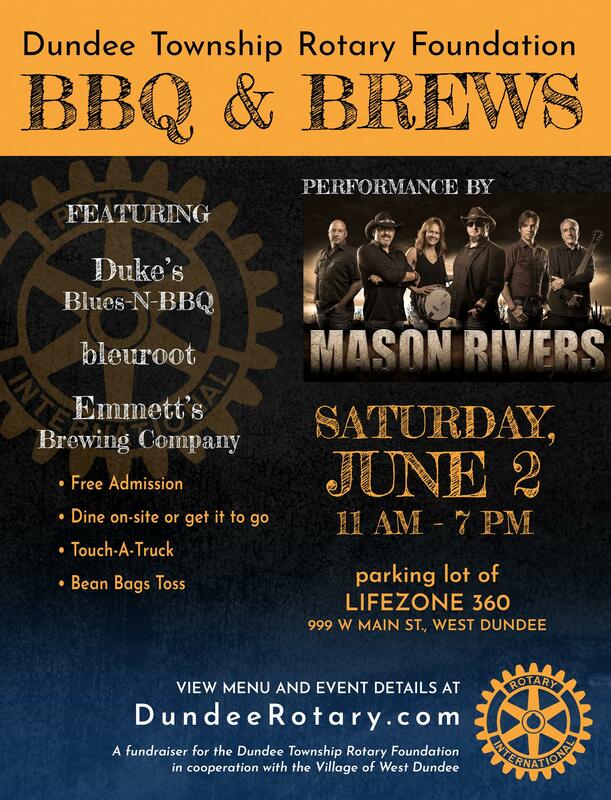 Join the Dundee Township Rotary at the fun event of the summer - and for a good cause! What: Appetizers, beverages created by Cheryl & Chris Wendt & fellowship! $10 gets you in the door - and all proceeds benefit the Boys & Girls Club of Dundee Township. A Blue Door Rita will be the special cocktail of the evening. Join us as we celebrate a wonderful year with Jim Bolz as our President - and look forward to another great year as Erik Gullickson is officially installed as our new President. RSVP to Erik. Bring your own drinks to the Max McGraw Pond Cottage. Welcome to the Dundee Township Rotary Club's website. The map shows the boundaries of Dundee (Illinois) Township. The club's New Officer Installation Dinner, scheduled for Thursday, June 20 has been postponed. Encouraged by the enthusiasm of a fellow Rotarian, our club helped subsidize surgery for five children in Latin America who needed surgery to repair congenital facial abnormalities. Medical care was donated while our club, along with a matching grant from The Rotary Foundation, helped with transportation. Thanks to club members for all you do for our community and internationally. Club member and incoming club director, Glenn Morgenroth shows just how close we are to eradicating polio. Erik Gullikson, incoming club secretary, shows just how close we are. 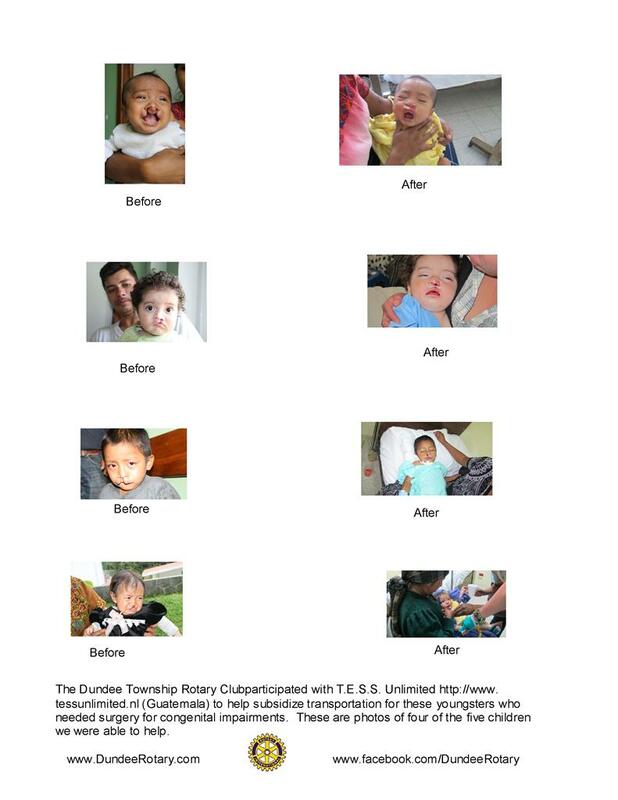 Dundee Township Rotary Club member Tom Anderson shows just how close we are to eradicating polio. Dundee Township Rotary Club member, Colleen Thomas, shows just how close we are. Sue Harney, Dundee Township Supervisor and member of the Dundee Township Rotary Club shows just how close we are to eradicating polio. Gary Gundersen, club president, shows just how close we are to wiping out polio. Pat Szpekowski, a member of the Dundee Township Rotary Club, shows just how close we are to eradicating polio. Curt McReynolds, Executive Director of the Dundee Township Boys and Girls Club and member of the Dundee Township Rotary Club, shows just how close we are to eradicating polio.